Household Power Saver - Efficent? What is the real truth? A household power low voltage saving devices has recently received a lot of attention from both consumers and manufacturers. It is generally used in residential homes to save energy and to reduce electricity bills. It is a small device which is to be plugged in any of the AC sockets in the house (Mostly near Energy Meter). Moreover, some of the companies claim that their power savers save up to 40% of the energy. Many people believe that the claims made by the power savers manufacturing companies are false. Almost all people who buy power savers do it to reduce their electricity bills. Many people who have used these power savers said that they could reduce their electricity bills with the devices; however the reduction was not as much as they had expected. Moreover, they could not figure out if the reduction in electricity bills was due to the power savers or because of their efforts to reduce their electrical usage. There have been several serious discussions about the genuineness of the device. In this note, we will try to find the real truth behind these power savers which claim to save as much as 40% of energy. It is known that the electricity that comes to our homes is not stable in nature. There are many fluctuations, raise and falls, and surges/Spikes in this current. This unstable current cannot be used by any of the household appliances. Moreover, the fluctuating current wastes the electric current from the circuit by converting electrical energy into heat energy. This heat energy not only gets wasted to the atmosphere, but also harms the appliances and wiring circuit. 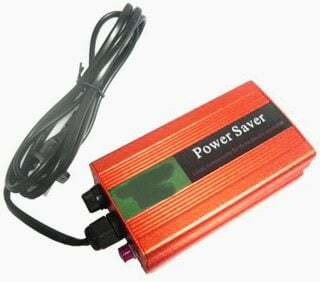 Power Saver stores the electricity inside of it using a system of capacitors and they release it in a smoother way to normal without the spikes. The systems also automatically remove carbon from the circuit which also encourages a smoother electrical flow. This means that we will have less power spikes. More of the electricity flowing around circuit can be used to power appliances than before. The amount of power saved by a power saver depends on the number of appliances on the electrical circuit. Also, the system takes at least a week to adapt itself fully to the circuit, before it starts showing its peak performance. The maximum amount of voltage savings will be seen in areas where in the current fluctuation is the highest. Many companies are promoting and advertise that their Power Saver unit are able to save domestic residential power consumption by employing an “active power factor correction” method on the supply line. The concept seems pretty impressive as the concept is true and legally accepted. But practically, we will find that it’s not feasible. Manufacture claim that the above problem may be solved by installing a well-calculated inductor/capacitor network and switching it automatically and appropriately to correct these fluctuations. A power saver unit is designed exactly for this purpose. This correction is able to bring the level of PF very close to unity, thus improving the apparent power to a great extent. An improved apparent power would mean less CURRENT consumption by all the domestic appliances. So far everything looks fine, but what’s the use of the above correction? The Utility Bill Which We pay is never based on Apparent Power (KVA) but it is based on Real Power (KW). The utility bill that we pay is never for the Apparent Power- it’s for the Real Power. Reactive power is not a problem for a Reactive Load of Home appliances like A.C, Freeze, motor for its operation. It is a problem for the electric utility company when they charge for KW only. If two customers both use the same amount of real energy but one has a power factor of 0.5, then that customer also draws double the current. This increased current requires the Power Company to use larger transformers, wiring and related equipment. To recover these costs Power Company charged a Penalty to industrial customers for their Low power factors and give them benefits if they improve their Power Factor in. Residential customers (homes) are never charged extra for their reactive Power. The Fig shows the result of using Power Saver. The air conditioner (which has a large compressor motor) is still consuming reactive power but it is being supplied by a nearby capacitor (which is what is in those “KVAR” boxes). If you were to mount it at the air conditioner and switch it on with the air conditioner plus you sized the capacitor perfectly, then there would be no reactive power on the line going back to the fuse panel. If the wire between your fuse panels is very long and undersized, reducing the current would result in it running cooler and having a higher voltage at the air conditioner. These savings due to cooler wiring is minimal. A further complication is that if you install the “KVAR” unit at the fuse panel, it does nothing for the heat losses except for the two feet of huge wire between the fuse panel and the utility meter. Many KVAR units are marketed as boxes that you install at a single location. If your power factor box is too large, then it will be providing reactive power for something else, perhaps your neighbor. First, residential customers are not charged for KVA – hour usage, but by kilowatt-hour usage. This means that any savings in energy demand will not directly result in lowering a residential user’s utility bill. Second, the only potential for real power savings would occur if the product were only put near in the circuit while a reactive load (such as a motor) were running, and taken out of the circuit when the motor is not running. This is impractical, given that there are several motors in a typical home that can come on at any time (refrigerator, air conditioner, HVAC blower, vacuum cleaner, etc. ), but the Power Saver itself is intended for permanent, unattended connection near the house breaker panel. And certainly not in the way the manufacturers recommend that they be installed, that is, permanently connecting them at the main panel. Doing that drags the power factor capacitive when the inductive motors are off and could create some real problems with ringing voltages. Adding a capacitor can increase the line voltage to dangerous levels because it interacts with the incoming power transmission lines. Adding a capacitor to a line that has harmonic frequencies (created by some electronic equipment) on it can result in unwanted resonance and high currents. For commercial facilities, power factor correction will rarely be cost-effective based on energy savings alone. The bulk of cost savings power factor correction can offer is in the form of avoided utility charges for low power factor. Energy savings are usually below 1% and always below 3% of load, the higher percentage occurring where motors are a large fraction of the overall load of a facility. Energy savings alone do not make an installation cost effective. Total and absolute fraud here. There are many dead giveaways. In addition to all the fiction written here, is the problem with grammar. This was written by someone with, at best, a tenuous grasp on the English language. BUT these type of people fleece folks every day. You lot would be better off investing in LED lighting to save on power consumption and would also save you money in replacing lamps as they have a longer operational life span. Then after that you would be better off investing in solar panels and a good inverter or solar controller and battery and being off the grid. What do you mean when you make this statement, “a power saver also removes any type of carbon in the system”. What is an example of carbon in a system? I don’t know what you’re referring to here. I think the author academically studied the subject and not understood the real purpose of capacitor resistance circuit to assist in power factor correction and surge suppression. He used carbon in electrical parameter , where he studied such terms to explain electrical energy. Putting his unsolicited non technical inexperienced novice theory in first google search for power savers will mislead lot of people believing his academic degrees. Without proper experiments and proof he explain the thing. What are your sources? Where are the numbrers? Install led lighting and put timers on your water heaters so when not in use they would not kick in and reheat the cold water. This method should work fine. Power factor correction actually reduces power consumption, because every load is linked to efficiency. If 80% is efficiency of device then 20% are losses. Loss is calculated as I2R. If current reduces, correspondingly the loss reduces which saves power. None of these so called devices work, at all. I have just shut down the third site maintaining that they work, they do not. On a Flourescent light in a factory there are reasons to fit a capacitor. In easy terms the capacitor brings together the current and the voltage. This is required because the electricity supply companies charge a premium for poor power factor, the relation ship between how far the voltage and current are out of phase with each other. The reason being that if the current and voltage are out of step then the power company have to supply more electric than is indicated. This can even cause connection failures. In a house the difference is immaterial. However, on new electricity meters even that is covered. So none of these boxes are any good, As for claims of spikes etc, well the only real way to stop the parasitic spikes etc is to use a proper item for example a Uninteruptable power supply that is working through internal transformers. So, if anybody tries to sell you one you now that the so called power boxes are a scam. I have just caused another to be shut down, it was called Ecovolt from eastonia. Read Fraud. Thanks for information. I bought maxx environment power saver. In my home 1 freeze, 1 TV, 1 washing machine. Is it safe to use power saver or not? And it’s green light is off so thisthis device is working or not ? please suggest me that I can use it or not? There is no harm as we any connect our laptops, computers which have capacitive effect. So connecting a capacitive power saver will not harm. It will help in reduction of spikes. only power saver 3 phases with a kvar capacitor and controller Power factor, c/k and more can true save, depends the inductives load. if good for hotels or place use for sample many air conditioner. here can get good result saving. for product picture you show yes many power saver , and aslo every power saver with a socket plug is are scam, and you can see china is number one place for scam power saver , same recently shenzhen jumbo power saver , product dont save only $1 and more him increase your bill electric . i use another factory form Taiwan use a true power saver 3 phases and i know 90% is are scam power saver, my for every customers i install power saver. i try with a meter 3 hours without power saver and 3 hours with power saver and compare kw/h with a meter same model form company electric. so here can see true power saver and scam power saver. Also noted Alibaba aliexpress made in china protect gold suppliers because every year gold suppliers paid $6000 to $7000 for show product to is website, problem bad verification form alibaba aliexpress i show to 1 video to youtube is are bad veryfication you can see to the disclainer alibaba the company promose. just promise for get gold supplier status and scam to international. The report from Mr.Sun on Oct.13.2016 isn’t correct and he doesn’t respect the truth. As he said that only Kvar capacitor with PF controller can save. I don’t think that he knows much about the real saving technology. If as he said, Jumbo power saver is scam. Then how to prove that his words is true ? Jumbo saver is PF correction device with Kvar capacitors and we have lots of saving examples to show customers. How can Mr.Sun that there is saving by other Kvar savers while there is no saving by Jumbo? If he really know about this tech, then he shouldn’t say it like this. In fact, His aim isn’t helping buyers to make right decision. His aim here is going to use blacklist to say Jumbo bad words. He wanted Jumbo to die and this is his destination. Mr. Sun,our former customer who doesn’t respect the business rules and he is not honest person. I swear in the name of the God here, Jumbo didn’t cheat Mr.Sun. Dare Mr.Sun swear in the name of God that he is really honest on this matter ? We lost business due to his bad behavior and we have all proof to show what kind of of Person he is. He is using all blacklist and links to show Jumbo bad words as revenge. If any customer want to know the truth, you are welcome to contact. Qin@jumbopowersaver.com for more info. If any supplier see this information, I don’t suggest you to do business with Mr.Sun. If you really want to be headache, just try to do business with him. I do believe that he got lots of bad buying history in China. And you will be 100% unhappy. Even Alibaba has no words about him. He said that alibaba is scam and didn’t protect his benefit. In fact, for the whole process, alibaba is protecting the benefit of customers. We have all proof to show it.However, during the communication with alibaba, his attitude and words didn’t stand right,so,he failed. And now he can only say bad words about Jumbo as revenge. He retuned the goods and we refunded him 100% money. Still now he tell fake story online that he lost 1220USD. I want all to ssay,if you buy some products from China and you damaged the products during wrong operation and wrong installation, then you ask the supplier to refund. Will the supplier do it ? Maybe 99% won’t. However, we respect the benefit of others and we refunded all. And we don’t want to be headache with Mr.Sun. However, Mr.Sun still say online that he lost 1220USd and even ask me to give free H20 saver for compensation and also he ask Jumbo to give him shipping cost from Cambodia to China. Is it fair ? He said that Jumbo has defect on the products. Yes,Jumbo isn’t 100% perfect and we still have a long way to improve the quality and everything and now we are doing that to make ourself better and better.Besides, I have the confident to say that we are the best power saver manufacturer in China. Maybe customers don’t believe what I say, then you are welcome to compare any other brand from China with Jumbo and tell us the disadvantages. Most welcome. We work with customers honestly, not like Mr.Sun, can only say bad words and use knife on the back. This kind of person I dare to say, if he didn’t get brain problem, then must be a person without good temper and personality. If he is good person, then he will not use blacklist to say words which isn’t true. His negative can’t help any customer , only the best way for him to revenge for his so called lost. You will see may fake reports from many webs when you search Jumbo power saver. All are from Mr.Sun or Mr.Tee Sama. Maybe they are same person. I would like to make this information open, for the reason that Jumbo never worry about bad words from customers. But we respect the customers who give us real advices. If the person who like Mr.Sun, in the aim for revenge only. Then,we have enough confidence to say big NO. Thanks for your attention and best wishes to all who may see. This statement – to remove CARBON from the CIRCUIT – is misleading. No electrical engineer, textbook etc do not use word CARBON in such semantic mood. At least I am not able to find out such slang usage (to remove carbon from electrical circuits) inside electrical engineer community or any other inner circle. This error is circumstantial evidence that mr. Jignesh Parmar is not 100% competent in the field. Hi there, while true, at the same time using a high quality power meter, I noted a 15 Watt savings on a 70 Watt florescent light fitting. It was running at 100 Watt there was no cap across the supply so I added one and it dropped by 15 Watt. There was an instant savings and this is the way to do it. A cap on the far end of an unloaded line can cause the voltage to increase and is considered dangerous. Also just adding capacitors can result in harmonic amplification of the voltage, increased voltage distortion. Ask any car audio nut, they know that often adding a supply cap can make more noise or hum in the audio rather than removing the noise, a result of a greater voltage drop across the supply lines. You can always save energy by reducing the resistance of the supply cable. We all accept a 5% volt drop on a supply cable but fail to remember that it implies a 5% power loss! Sir, I have two ac , one geaser my bill is 12000/-pm , how can I reduce it. I have saimax 3G power saver. When I used it first time all 3 LED indication were ON. But suddenly last green LED started to fluctuate and after a while it goes OFF. So please let me know if the saver is working or not. And what is the meaning of the 3 LED lights. I read quite a bit on your discourse on PFC and electricity saving, stating that such is negligible for residential lines, well I am no engineer/scientist, but simply a user of two Electricity Saving devices and my experience runs contrary to your comments. My success led me to become a dealer of the same equipments saving multiple supermarkets several thousand dollars monthly (3 Phase), a single phase user over $1400 in 3 months and several other single phase clients 3 digits savings of at least 20.09% monthly! i did have one at home and i saved 25 to 35% on my monthly bill. the electric company could not believe it so they took my meter away and replace it with new one. when we inquired why, they simply said they will send it to factory to check as there seems to be a problem with my reduce electric usage. until now i am using it with success. I read your comments. but I want to know if power saver really reduces our electrical utility bills?, If yes then where can I get it in India? Glen, you are either not telling the truth or you have been hoodwinked. These devices are worthless for the average home owner. Fixed capacitance type PFC only works when it is of right capacitance value to a given motor load. Since the household has different motor loads and switched at different times, this may not work all the time. For household, automatic power factor correction should be the way to go. Thanks for the information. It did bring long forgotten concept of my automation and control course….It was a nice review! People will more end more dream of saving as price of energy rise up! I have 2-50 Amp power saver 1200, 1 at my home and the other in my office. I installed them in Nov 2014. For November my bill fell from $112.00 Average to below $78, the next bill was under $86 and my last bill ie for Jan 2015 is $68.25, so for me, my US made Power saver saves over 30%. Re: my office in Nov I paid $57.43, Dec $38.17 and Jan $29.88. In Dec I saved 34% and in Jan 48% or an additional 22%. so maybe, you need to by your from the USA! Re: my office in Nov I paid $57.43, Dec $38.17 and Jan $29.88. In Dec I saved 34% and in Jan 48% or an additional 22%. so maybe, you need to buy yours from the USA! Can u please tell what is the brand of your power saver. Remove carbon, the element ‘C’ (atomic number 6), is that what you say? I have never seen any instrument removing ‘carbon’ or anything tangible from an electric circuit. Electric energy is converted in other types of energy, yes, but carbon? He meant it in a descriptive sense, carbon build up in an exhaust creates poor flow, he used it as similarity to an electrical network flow. The guy doesn’t know what he’s talking about. Engineer my b—. These power saving devices don’t work, it’s just a scam. It doesn’t remove carbon (which has nothing to do with electricity), it doesn’t do anything. I just find your article very useful. You have given a perfect explanation of the power saver use for domestic consumer. But I want to ask you a question about my situation. First of all, I give you a little introduction of the problem. I have on the roof of my house a solar plant for domestic production of energy. In the max period of production – in summer – in the most productive hours of the day – i.e. from 12:00 a.m. to 02:00 p.m. – the inverter of solar plant goes down in error for security because it overcomes the limit voltage permitted for the immissions of energy into the distribution line. The limit is reached because my house is at the end of household distribution line and the cables have a less diameter because very old. In every case, the household told me that from their measurements the parameters all right. Anyway the problem persist: the distribution line couldn’t take all the energy produced. The question is: could the use of a power saver reduce the problem? Theoretically, it modulates the energy signal like a filter, so the energy that will be inmitted into the elettric line would be all taken. What do you think about that? Hello, I purchased energy saving devices from a small manufacturer. They actually said I needed two to cover my entire home. One to be plugged in for the odd numbered circuits and one to be plugged in on the even numbered circuits (in the breaker box). I did experience a savings of about 7 or 8 % on average on my electric bill. However, I also seemed to experience some problems with my electricity, such as furnace blower refusing to run properly, refrigerator problems, etc. so I am wondering if the stored power can cause problems. I no longer use the devices. Article is nice and helpful. thanx dear for explanation. but the question remains , how could they fool public at large scale? Empower saver Prix liest. No.no.09730697979. Maharashtra. Kolhapur.pin cod.416122. India. Thank you for the self explanatory article. Saved my money just now by not buying it. Save some money on decreasing resistance of the wires, in 10 years will get mine 3-5% of energy bill back (after paying for the new wires) it is better then saving less then 1% with this useless device. Thanks.. after reading this i saved my money which i planned to buy ps. It is indeed a very informative article. I am thankful to the author for this valuable knowledge. Thank you very much for this article. It helped me make the decision not to purchase an energy saver. Can someone please let me know among lot of manufacturers in India, which one is good and reliable and if i can buy the product online? Very nice of you & your products. I am interested for the product of household power saver. What is the size of capacitor should be used for 1HP motor, 2HP motor and 500W refrigerator for power saver purpose? For 230V 50Hz grid. Thanks in advanced. Appreciate this article .We require 3 Phase Energy Savers.The products should reduce reactive inductance and increase the power factor. electronic product is preferred. Most of those selling household type energy saving devices that plug into an outlet ask the consumer to wait a few months to observe their “savings” and base it on the actual bill. In reality, if the device can really save on electricity consumption, it can be instantaneously measured by using a standard watt or kilowatt meter. The kilowatt-hour is just a measure of consumption after one hour. Some use a clamp on ammeter to prove the energy savings. What they were showing is volt-amperes not watts which is volt-ampere multiplied by the power factor. The consumer pays for the watt-hour (or kilowat-hour), not volt-ampere-hour. Perhaps the scammer is banking that by probability half of the buyers will experience some reduction in billing although half will experience an increase in their bill, although the gadget does not have anything to do with the reduction/increase in billing. Perhaps the tariff got lower of there are fewer days in a period covered. Anyway the one half of the consumers who found their bill reduced will be happy and attribute the reduction to the “energy-saving” gadget. The other half may just keep quiet or be shy in filing a complaint. C’est bien expliqué et on comprend que les arguments de vente des fabricants sont une arnaque puisque la facture d’électricité en résidentiel est basée sur les kWatt. Peu importe le facteur de puissance que nous avons à la maison. 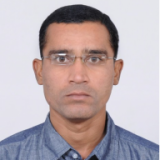 hello mr. jigu parmar. I like your article. and I am agree with you. but I had seen and observed in 3 phase load system, that if I connect a 3 phase capacitor across the load then current goes down. But I also observed that unit consumption of load (kwh) per day also reduced. I just need to know ., why did it happen.? These articles would be a lot nicer if you followed standard scientific writing practice and provided an abstract summarizing all your findings at the beginning of the article. Otherwise it was interesting. the capacitor for reactive compensation comes with price . more time you expose these capacitors to grid system, more is the chance of capacitor dying. And if we consider a harmonic distortion in supply , the capacitor life drastically comes down as the capacitor draws more current than its intended. i still feel this power saving should be prevented being sold unless it is tested and the values are tabulated and the performance is tested for at least a year. Does capacitors affect the operation of a disc type watt hour meter? I have seen some demonstrations wherein the rotation of the disc slows down everytime the device is turned on.